Since the 1st, September 2013, I have been working as an Associate Professor at ENSICAEN. I am part of the E-payment & Biometrics team in the GREYC laboratory. M. Barbier, H. Cheballah, and J.M. Le Bars. Properties and constructions of coincident functions. Preprint, July, 2015. M. Barbier, and C. Munuera. Improving success probability and embedding efficiency in code based steganography. 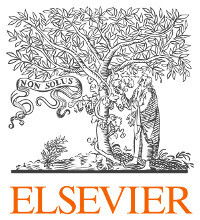 Preprint, February, 2013. G. Quintin, M. Barbier, and C. Chabot. On Generalized Reed-Solomon Codes Over Commutative and Noncommutative Rings. IEEE Transactions on Information Theory. Vol. 59, number 9, pp. 5882 - 5897, September, 2013. M. Barbier, C. Chabot, and G. Quintin. On Quasi-Cyclic Codes as a Generalization of Cyclic Codes. Finite Fields and Their Applications. Vol. 18, issue 5, pp. 904 - 919, September, 2012. C. Munuera, and M. Barbier. Wet paper codes and the dual distance in steganography. Advances in Mathematics of Communications. Vol. 6, number 3, pp. 237 - 285, August, 2012. L. Ghammam, M. Barbier, and C. Rosenberger. Enhancing the Security of Transformation Based Biometric Template Protection Schemes. CYBERWORLDS, pp. 316 - 323, October, 2018. K. Atighehchi, and M. Barbier. Signature Renewal for Low Entropy Data. IEEE TrustCom 18, July, 2018. T. Gougeon, M. Barbier, P. Larcharme, G. Avoine, and C. Rosenberger. Retrieving Dates in Smart Card Dumps is as Hard as Finding a Needle in a Haystack. IEEE WIFS, December, 2017. T. Gougeon, M. Barbier, P. Larcharme, G. Avoine, and C. Rosenberger. Memory carving can finally unveil your embedded personal data. ARES, pp. 9, August, 2017. T. Gougeon, M. Barbier, P. Larcharme, G. Avoine, and C. Rosenberger. Memory Carving in Embedded Devices: Separate the Wheat from the Chaff. 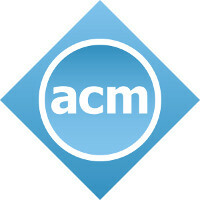 Applied Cryptography and Network Security, ACNS 16, pp. 592 - 608, June, 2016. M. Barbier, J.M. Le Bars, and C. Rosenberger. Image Watermarking With Biometric Data For Copyright Protection . ARES - MFSec, pp. 618 - 625, August, 2015. M. Barbier. Re-encoding reformulation and application to Welch-Berlekamp algorithm. IEEE, ISIT'14, pp. 1782 - 1786, July, 2014. M. Barbier, C. Pernet, and G. Quintin. On the decoding of quasi-BCH codes. International Workshop on Coding and Cryptography, WCC 2013, April, 2013. D. Augot, M. Barbier, and C. Fontaine. Ensuring message embedding in wet paper steganography. Institute of Mathematics and its Applications International Conference - IMACC11, LNCS Vol. 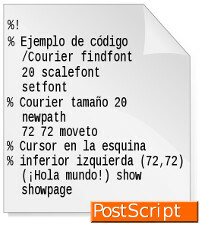 7089, pp. 244 - 258, December, 2011. D. Augot, M. Barbier, and A. Couvreur. List-decoding of binary Goppa codes up to the binary Johnson bound. IEEE, ITW'11, pp. 229 - 233, October, 2011. M. Barbier, and P. Barreto. Key Reduction of McEliece's Cryptosystem Using List Decoding. IEEE, ISIT'11, pp. 2681 - 2685, August, 2011. M. Barbier. New Set of Codes for the Maximum-Likelihood Decoding Problem. YACC'10, October, 2010. T. Godquin, M. Barbier, C. Gaber, J.L. Grimault, and J.M. Le Bars. IoT : Vers un contrôle des fonctionnalités au vu des menaces liées. RESSI, May, 2018. M. Barbier, and C. Rosenberger. Tatouage d'images avec des données biométriques révocables pour la preuve de propriété. SAR-SSI 14, May, 2014. M. Barbier, and P-L Cayrel. Attaques algébriques. MajecSTIC'08, November, 2008. M. Barbier. Décodage en liste et application à la sécurité de l'information. PhD Thesis at École Polytechnique, December, 2011. D. Augot, M. Barbier, and A. Couvreur. List-decoding of binary Goppa codes up to the binary Johnson bound. 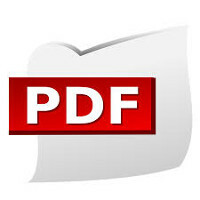 Technical report, December, 2010. The primary goal of stegocurve is to provide a simple tool for plotting curve from code based steganography. This is a standalone ANSI-C tool. It can be used for Unix and Windows computers. Any feedback is appreciated. stegocurve is under the GPLv3 licence. All remarks or suggestions are useful, let me know by e-mail. You can find the full documentation generated by Doxygen in the archive, or for the lastest release in online documentation. Jointly in charge of the Cryptology seminary of University of Caen. JC2S 2011, 2012 and 2013. GREYC scientific leader for the Projet Investissement d'Avenir (PIA - french project) ID-Blockchain, from 2016 to 2018. This is an identity management project on a blockchain; respectful of user's privacy and trust of web.